As deep concerns over climate change continue to grow, it’s more important than ever to take action to curb the effects of global warming for our planet and the lives it sustains. A United Nations climate change report issued in October warned that if we don’t take drastic measures against global warming, our planet could see some devastating effects as early as 2030, including more intense heat waves, rising sea levels, and extreme droughts. To prevent this from happening, carbon dioxide emissions need to fall by 45 percent from 2010 levels, which is a daunting task. Luckily, some cities are making the fight against global warming a priority. Whether it’s the widespread use of solar energy, reducing fossil fuel dependence, or building skyscrapers with cutting-edge green technology, these cities are taking monumental strides toward sustainability. 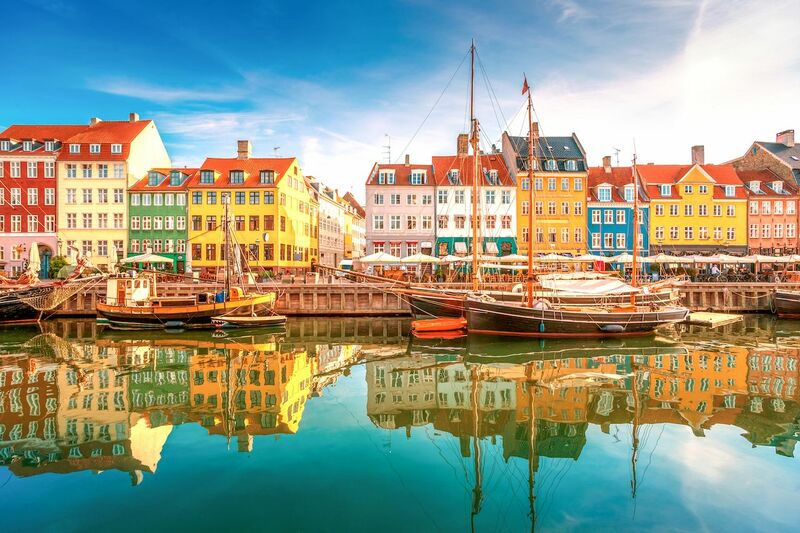 Copenhagen is one of Europe’s greenest capitals. Since 2016, bikes have outnumbered cars in this city with 265,700 bikes compared to 252,600 cars — and that number is continually rising. This preference for more eco-friendly transport has cut down carbon emissions significantly, as well as boosted the overall health of citizens. But biking is just the tip of the eco-friendly iceberg. Denmark is one of the world’s leading countries when it comes to wind energy, with an array of wind farms supplying power to much of the country. Green roofs are also being increasingly integrated into architecture, and an initiative is in place to plant 100,000 new trees by 2025. By the end of 2019, all public transport in Copenhagen will have shifted to electric engines. Ambitiously, the city hopes to become the world’s first carbon-neutral capital by 2025. 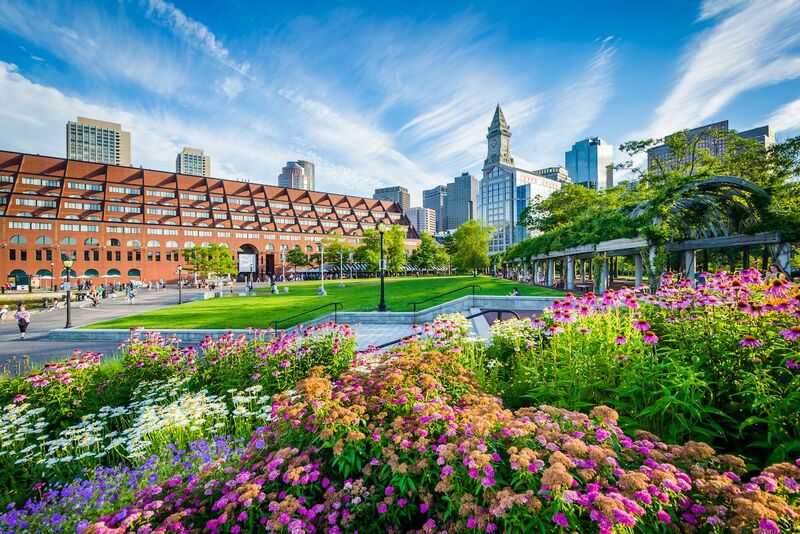 In 2017, the American Council for an Energy-Efficient Economy named Boston the most energy-efficient city in the US, and it’s looking to keep that trend running — the city has vowed to be completely carbon neutral by 2050. To accomplish this, Boston is launching a series of green renovations and eco-friendly construction projects. In 2016, the Boston Public Library underwent renovations to make it more energy-efficient, including the introduction of insulated ultra-clear glass paneling to create more natural light and reduce the need for light fixtures. Neighborhoods in Boston are becoming more and more sustainable as well, being built increasingly with solar panels, better insulation, and windows that allow for more natural light. London has some pretty lofty goals. It’s striving to be completely carbon-free by 2050, reduce greenhouse gas emissions by 60 percent by 2025, and become the world’s first National Park City. These ambitious targets are requiring architects to get creative when it comes to designing new buildings and spaces. The new Bloomberg building in London has the highest BREEAM (Building Research Establishment Environmental Assessment Method) rating of any office building at 98.5 percent. Its walls open and close based on weather conditions, meaning the building is less reliant on mechanical ventilation and cooling equipment. Its 500,000 LED lights also mean the building uses 40 percent less energy. 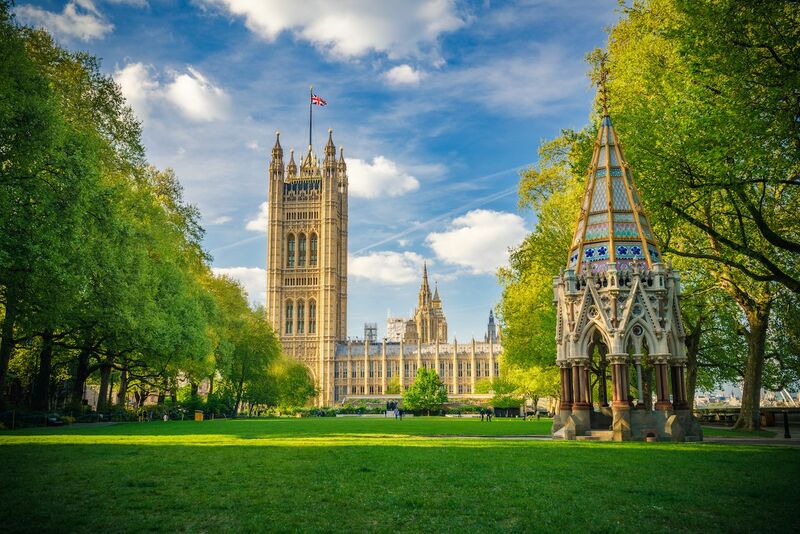 London’s massive green space initiative, combining 35,000 acres of public parks with urban spaces, is another reason why the city is considered one of the world’s most sustainable. 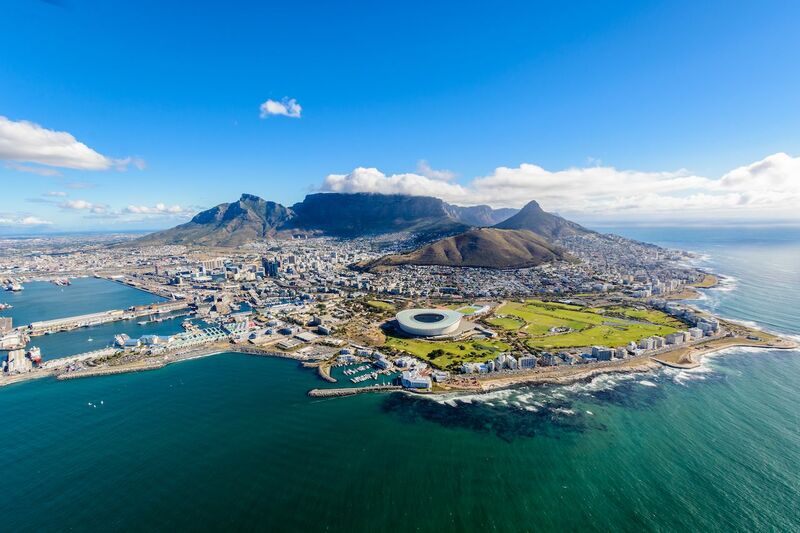 Cape Town is highly at risk for feeling the effects of climate change, so it’s mobilizing to get as prepared as possible. The V&A Waterfront — a mixed-use development comprised of residential and commercial property, hotels, retail stores, dining, leisure and entertainment facilities — is a hub of sustainable transformation, with many green projects underway to make responsible use of the public space. The new Zeitz Museum of Contemporary Art Africa is housed in a converted historical grain silo, which recycles and reuses all waste material. The nearby Radisson RED Hotel was also built in an eco-friendly mindset with a “no paper” policy in rooms, an efficient use of daylight, and a reduction in food waste by 30 percent. The city is also trying to increase the number of cost-effective building facades that can withstand the harsh winds and floods that often plague the harbor, as well as utilize the Atlantic seawater for internal cooling purposes. 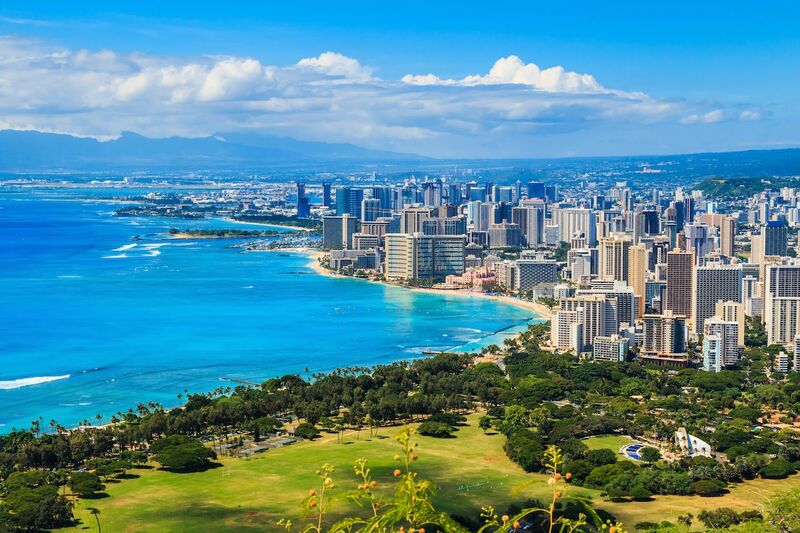 Hawaii is famous for its beaches, lush vegetation, and volcanic landforms, so it makes sense that the state’s capital city would take great measures to protect its precious natural landscape from climate change. Honolulu is on the cutting edge of encouraging alternative transportation options, including biking, mass transit, or walking. Bike lanes and bike sharing programs are on the rise, and the city is improving its train and bus systems. There has also been a recent push to reduce dependence on food imports. The proliferation of farmer’s markets is encouraging the consumption of locally grown food, and groups like Urban Farm Hawaii are striving to reduce the carbon footprint by turning public, urban spaces into gardens. Seattle is the US’s fastest-growing big city this decade, which means that its emissions have been on the rise. 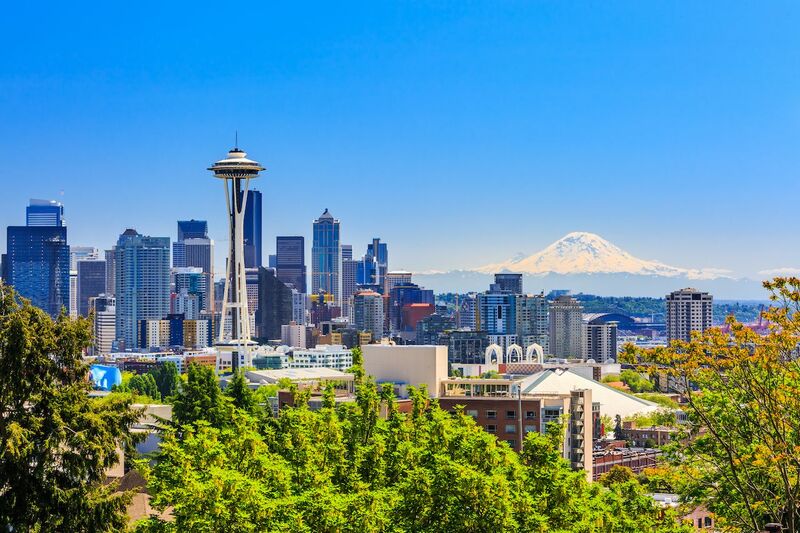 By making green development a top priority, Seattle is making sure to reduce the carbon footprint caused by its increasing population. Office buildings are being designed to work cooperatively with nature, such as the NorthEdge building set into a hillside. The hillside acts as a watershed with underground water flowing to the nearby Lake Union. Similarly, the Bates Technical College was built with a green roof that captures rainwater runoff and a ground source heat exchanger that reduces energy use by 35 percent. Seattle hopes to reduce greenhouse gas emissions by 58 percent by 2030 and become completely carbon neutral by 2050. In Oslo, new municipal buildings are required to be zero-emission as well as “energy-plus” — generating new energy — and special incentives such as tax credits, waived tolls, access to public transport lanes, and credits for electric bicycles are being offered to citizens who drive electric cars. The city is also building a system of solar water heating systems and geothermal wells, supplying buildings with natural heating and cooling. 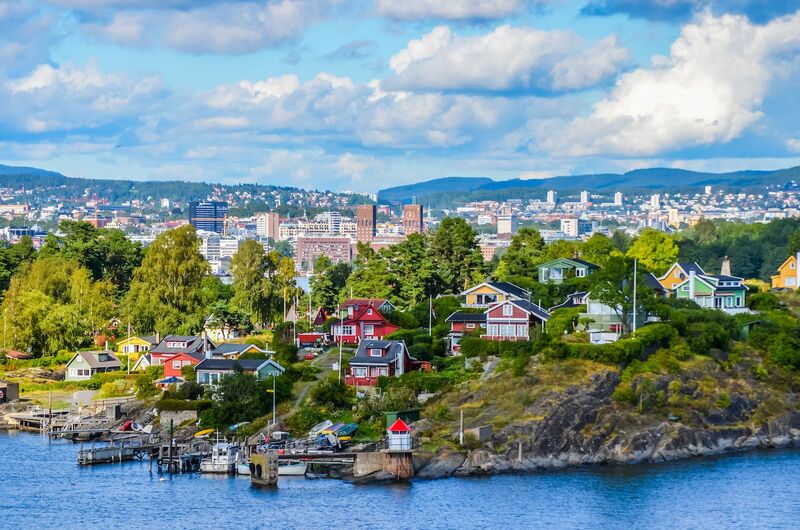 Oslo hopes to be entirely carbon-neutral by 2030.